stand up, show up, give up, pay up. slip from a grasp now older, less bolder. interruptions that come a calling. on the page instead of in the person. how much I still have to learn from you. 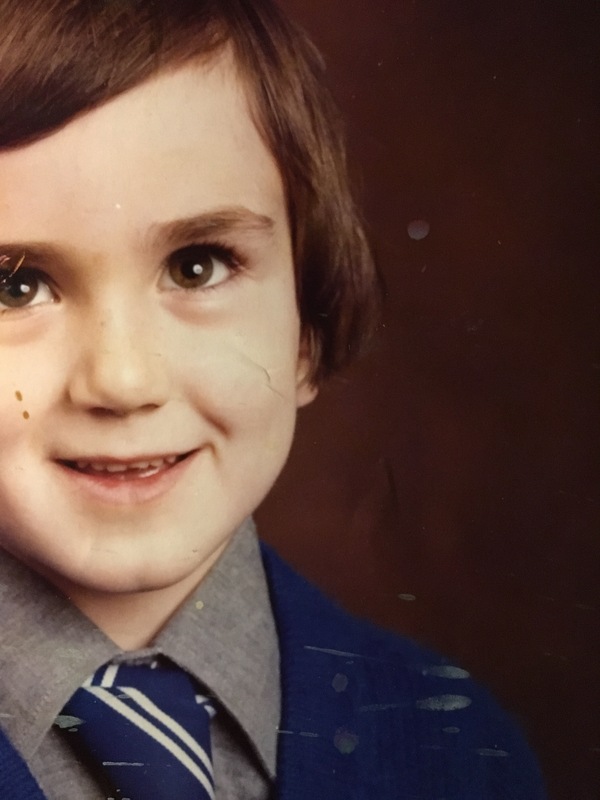 Photograph from my first day at school, aged 5. OK, well, for starters you were too cute for words. I like this poem. I like the idea, that the child is still in us, that if we could only access it we would gain so much. When do we stop seeing the adventure in the danger? We end up compressed into adulthood, somehow. Thought provoking poem. My child is very much there, but gets pushed aside so much and yet his voice is so calming at times that I fear he needs to be heard much more than I give him time for! Once the childhood teddy is in line of sight, comfort is just a hug away for him though. Our younger daughter’s teddy bear lives at our house for now to keep him from their dog, but when she comes over, she always goes up to hug him. ‘not timely like the tides’ I love that image. This is poem we can all relate to, though I envy you feeling still in touch with the child you were. I remember being a child but not always how I felt. Even then, I think there was a certain amount of self-deception and pretending things were better than they were. Not that I had a difficult childhood—just an ordinary one with fights and slanging matches. What a sweet photo too!